Happy 4th of July. I hope everyone is having a great and safe time with family and friends. 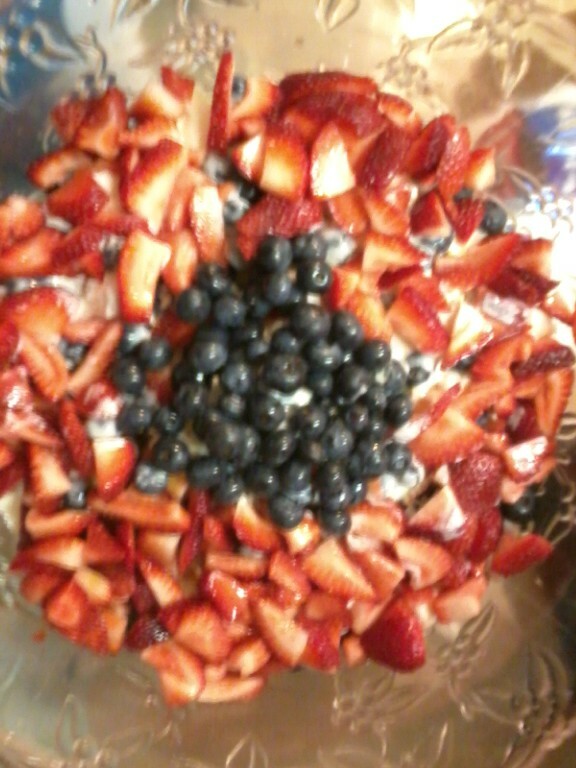 I made a patriotic dessert that was a crowd pleaser. I took some Angel food cake (I took almond abstract with some sugar and water melted in a pot and brushed it on the cake), strawberries and blueberries. I also made my own cream cheese sauce (cream cheese, sugar and heavy cream). Everything gets layered. The dessert not only looked nice but was refreshing and delish. So if you have any parties coming up this weekend, this might be a dessert you would like to bring along. ENJOY! !